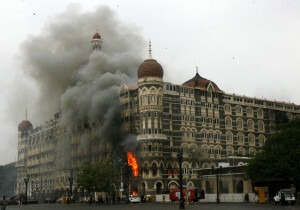 After years of criminality and deception that included scouting targets for the 2008 Mumbai terrorist attacks — a slaughter that left 166 people dead — Pakistani-American David Coleman Headley was arrested by U.S. authorities in October 2009. Facing the death penalty and possible extradition overseas, he chose to cooperate. Now the public has a window into those moments after his capture and a rare opportunity to see and hear the confessed terrorist. Thanks to a motion filed by FRONTLINE and ProPublica, a federal judge yesterday ordered federal prosecutors to make public two video clips of the FBI’s interrogation of Headley shortly after he was arrested. The tapes show Headley desperately trying to make the kind of deal that had won his freedom twice before. His first success came in 1988, when his cooperation with the Drug Enforcement Agency (DEA) shrunk an eight-year sentence for importing heroin down to four years. When he was arrested again on heroin charges in 1997, he again cooperated with the DEA, becoming an informant and even traveling to Pakistan on the agency’s behalf. He served 15 months in prison, when he had been looking at nine years. Once again, Headley succeeded in getting himself a deal. His plea agreement saved him from extradition and the death penalty, but his cooperation included testifying against his childhood best friend, Tahawwur Rana, who in June was found guilty of conspiring with Headley to attack a Danish newspaper. During Rana’s trial, the defense played these two clips of Headley’s interrogation in court. Headley’s testimony at Rana’s trial shed light on just how far he was willing to go in order to protect himself. In one instance, Headley proposed a bizarre scheme to set up Al Qaeda kingpin Ilyas Kashmiri for a drone strike by gifting him an ornate sword with a tracking device inside it. 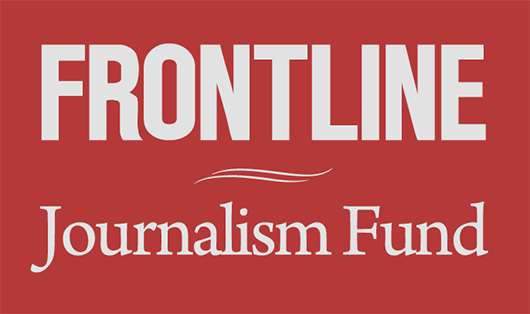 Over the past year, FRONTLINE and ProPublica have joined forces to investigate Headley’s life, including his work as an informant for the DEA and his associations with Lashkar-i-Taiba and Pakistan’s powerful intelligence service, the ISI. Airing Nov. 22, A Perfect Terrorist investigates the mysterious circumstances behind Headley’s rise from heroin dealer and U.S. government informant to master plotter of the 2008 attack on Mumbai. The Memoir of an "American Terrorist"
Five Surprising Facts About the American Behind "India's 9/11"